← How Much Does a Seat in Moldovan Parliament Cost? 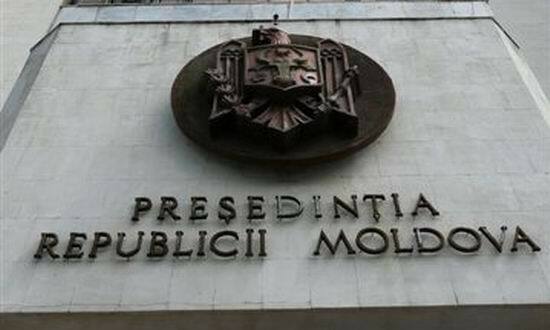 Direct Presidential Elections in Moldova: Let the Sovereign Speak! Republic of Moldova is best known as the poorest country in Europe, yet, for some time now, a new achievement may have clouded those laurels. Moldova is widely believed to hold the world record for the longest time a country has stayed without an elected president. A gloomy Friday afternoon on September 11th, 2009 marked the beginning of a 917 days streak that ended on an equally dim Friday morning of March 16th, 2012. After only two years, six months, and five days was Parliament able to agree on Nicolae Timofti as the country’s fourth elected president or seventh, if we count the three acting presidents who carried the presidential seal for those excruciatingly long 917 days. This lingering political crisis cost the public two early parliamentary elections, a failed constitutional referendum and a lot of societal tension. Needless to say that political instability alienated those few potential investors who were ready to put up with Moldova’s chilly business climate. Yet, all this trouble could have been completely avoided, had Moldovan legislators adhered and obeyed their sovereign – the people. Moldovans have consistently and overwhelmingly expressed their will to elect their president directly. According to polls, about 70 percent of voters would rather personally elect the president than entrust that decision to their representatives who have repeatedly failed to deliver on that duty. The three fifths or 61 votes majority required to elect a president has proven insurmountable in the current fiercely divided political environment. Polls show that neither right nor left wing parties would be able to reach a coalition large enough to elect a president. Thus, after the November 30th parliamentary elections there is a big risk that Moldova will spiral into yet another cycle of instability when it comes to electing a president. With developments in the neighboring Ukraine, difficulties in the country’s financial sector and agonizingly slow justice reform process, political instability is the last thing that Moldova needs. It is therefore high time that Parliament gave the people the consideration they deserve. Direct presidential elections are the pinnacle of democracy. Casting a ballot, knowing exactly that your vote directly impacts the election of the head of state, is the embodiment of civic participation. This is where every vote indeed counts. On the contrary, when electing members of Parliament of any political party, voters have no guarantee that lawmakers will elect a president those voters would prefer. Presidents elected in Parliament often represent the lowest common denominator and President Timofti is certainly a case in point. Furthermore, accusation of corruption surrounding his election, namely the alleged bribe those three opposition defectors received for supporting him, undermines his legitimacy as he remains highly contested to this day. Direct presidential elections will empower the people, make them more civically engaged, increase voter turnout, while at the same time giving a stronger voice to the president in his role as mediator between legislative and executive branches. After struggling with a parliamentary system for over a decade, it has become clear that constitutional reform of year 2000 was a mistake resulting from tactical considerations at the time, failing to foresee its strategic implications. Given that history and culture are important determinants of a country’s electoral institutions, Moldova, with its parochial, paternalistic and hardly consensual political culture, should return to a mixed system of government. Parliament is naturally unwilling to dilute its own power, yet, when faced with an imminent and present danger of a new cycle of instability, it will have no other choice. At the end of the day, it is not only our right, but also our duty as citizens to stand up for what is best for our country. Let the Sovereign speak! Note: This Op-Ed was written as an assignment for my Policy Analysis and the Policy Process class. This entry was posted in Moldova, Politics, Presidential elections and tagged elections, Moldova, Moldovan politics, Nicolae Timofti, Politics in Moldova, presidential elections. Bookmark the permalink. Reblogged this on Tom Reade.